Top ten things I haven’t done… | Welcome to allaboutwordswa! In the last twelve months there were lots of things that didn’t happen. Here are some of the things I would have loved to do. 1. Have my three sons, their partners and my grandchildren all together for a meal in the same place at the same time! That would be lovely! 2. Go for a walk in the Dandenong Ranges on a balmy spring day and admire the tree ferns, maiden hair ferns and all the other beauties of the rain forest, plus listen for the sound of the birds, in particular, the bell bird. 3. 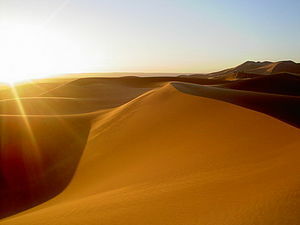 As a contrast to number 2, go for a walk, barefoot, in the Great Sandy Desert in the sand dunes. It is very “untouched” country and feels like you are the first person ever to visit there! The sand is a deep red colour and is wind-swept and beautiful. The only other prints in the sand are from the local wild-life. 4. Meet my friend Jan for an ice-cream sundae in Mount Lawley. We haven’t done that for a long time. 5. Have a roast dinner at Fibber McGees in Leederville would be special too. 6. Enjoy a good karaoke session with friends. This would have to be included in this list. 7. I don’t know if this counts but it is worth a try – get someone to do my ironing! I used to get it done when I was working full-time but now the ironing pile has taken over and continues to grow! 8. See my writing in print as part of the mainstream media. 9. Have a weekend of quiet contemplation. 10. Go and have another good look at the shops in Dublin! Well, maybe in the next twelve months!